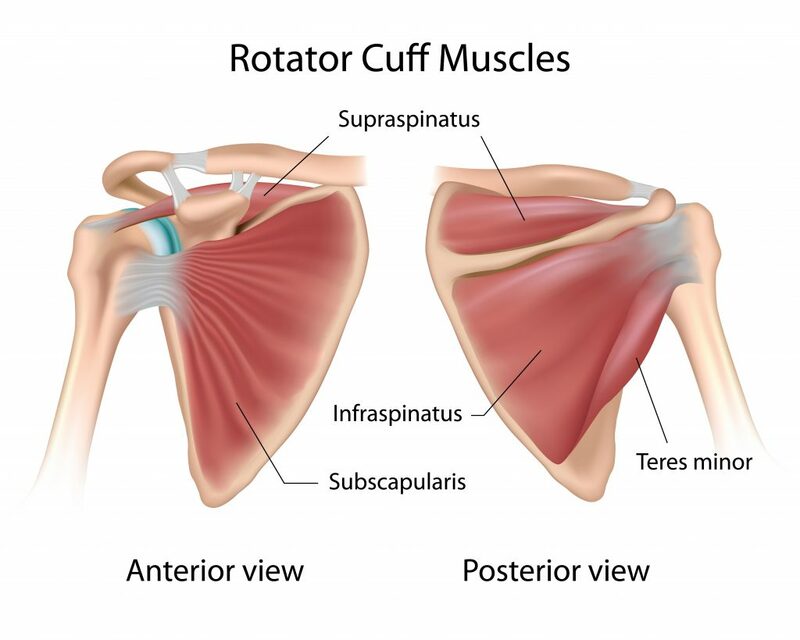 This is the first article in a 3-part series on the rotator cuff. Part one provides background information on the shoulder region and rotator cuff while the second and third part will explore why the rotator cuff is so prone to chronicity and re-aggravation as well as information on what you as a patient can do about it. Hopefully it is helpful and informative to you. 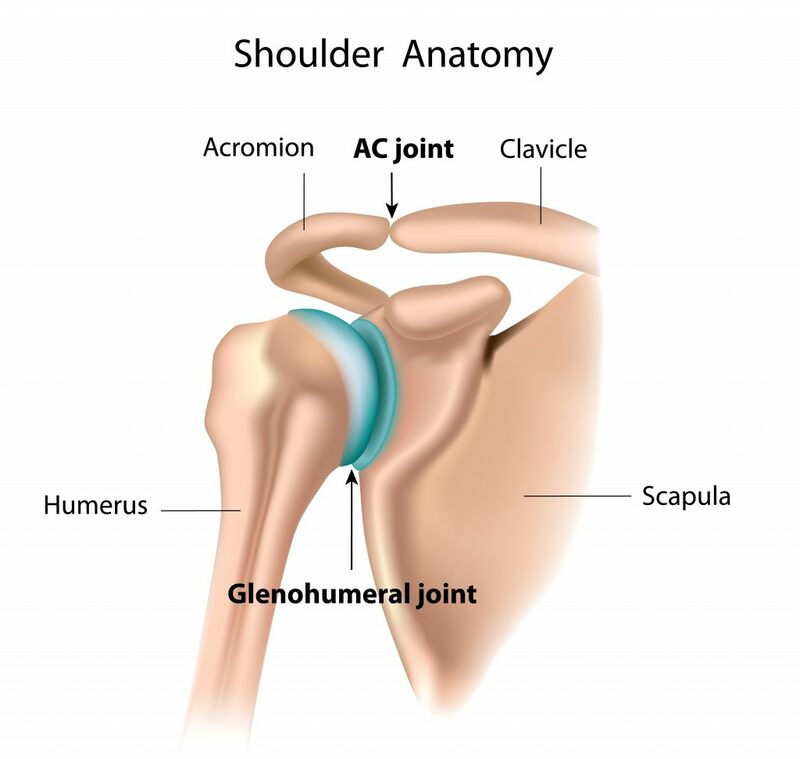 he shoulder joint (glenohumeral joint) is the most mobile joint in the body with large amplitudes of movement in virtually all directions. It is a ball and socket joint however the socket (glenoid fossa) is quite shallow so it functions more like a large ball on a small plate than a typical ball and socket. It has a rim around the edge of the plate called the glenoid labrum which deepens the fossa somewhat and helps prevent the ball from leaving the socket. A joint capsule surrounds the joint which is very loose allowing a vast expanse of movement. So how you may ask can the shoulder keep itself together when the regular structures which provide stability (ligaments and capsule) are so loose? The answer of course is the rotator cuff. This very important group of 4 relatively small muscles around the shoulder are critical to creating a functionally stable environment for the shoulder joint to operate. Let’s compare the shoulder with the knee to emphasize this point. With the knee (a hinge joint), ligaments are positioned to provide stability in every possible knee position. The muscular system provides motion at the knee but has far less contribution to stability than at the shoulder joint where the rotator cuff musculature provides virtually all the stability. Another factor to consider regarding this large shoulder motion is the scapula. 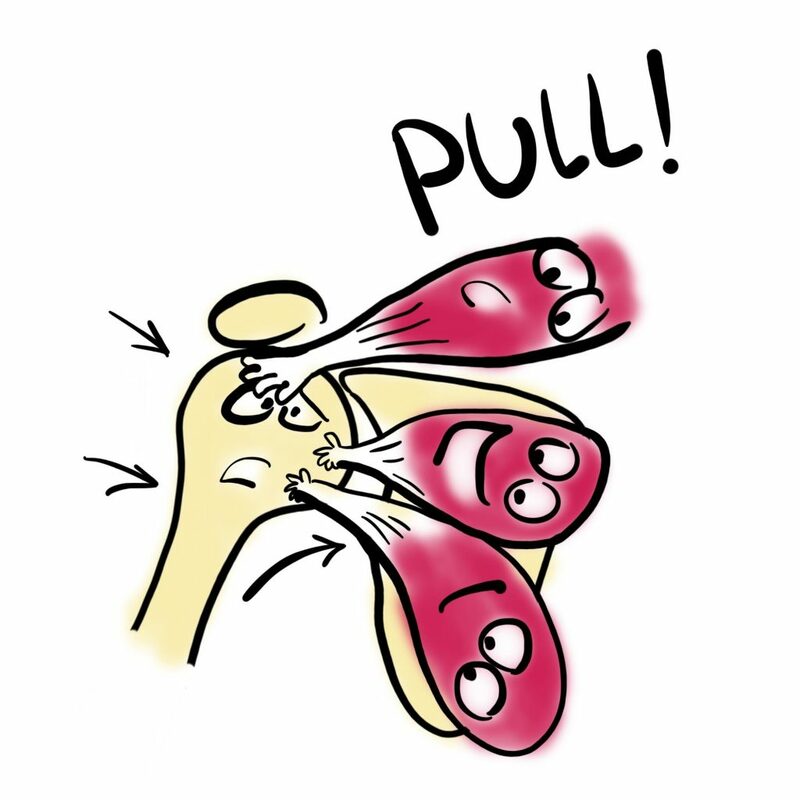 The glenoid fossa (the “large plate”) is part of the scapula and can be constantly moved to position the glenohumeral joint in a way that gives the shoulder even more movement. So together the shoulder joint in conjunction with the movement of the scapula create an astounding amount of movement. The 4 muscles of the rotator cuff surround the ball and socket of the shoulder joint. As such they can rotate the ball of the joint in all directions. This is of course a primary function of the muscle group. However, equally as important but far less understood is the second primary function – stability. This means that in all movements of the shoulder joint the rotator cuff muscle group will be working in unison to stabilize the ball on the plate, that is, keep it in a good position during function. For example, when the larger deltoid muscle elevates the arm forward, the rotator cuff muscle group works hard to hold the ball down in the middle of the plate i.e. stop it from moving up into the top of the joint space. This scenario applies to virtually every shoulder movement. Imagine how complicated the movement is when we lift our arm out to the side. The deltoid and supraspinatus lift the arm while the rotator cuff as a group stabilize the ball on the plate. Then as we lift further the scapula rotates up to bring the glenohumeral joint upward as a whole and the rotator cuff continues to work hard at keeping the ball of the shoulder joint in a good position. The result: 180 degrees of movement! Imagine now how sophisticated the neurological system for the rotator cuff must be to accomplish this amazing feat. 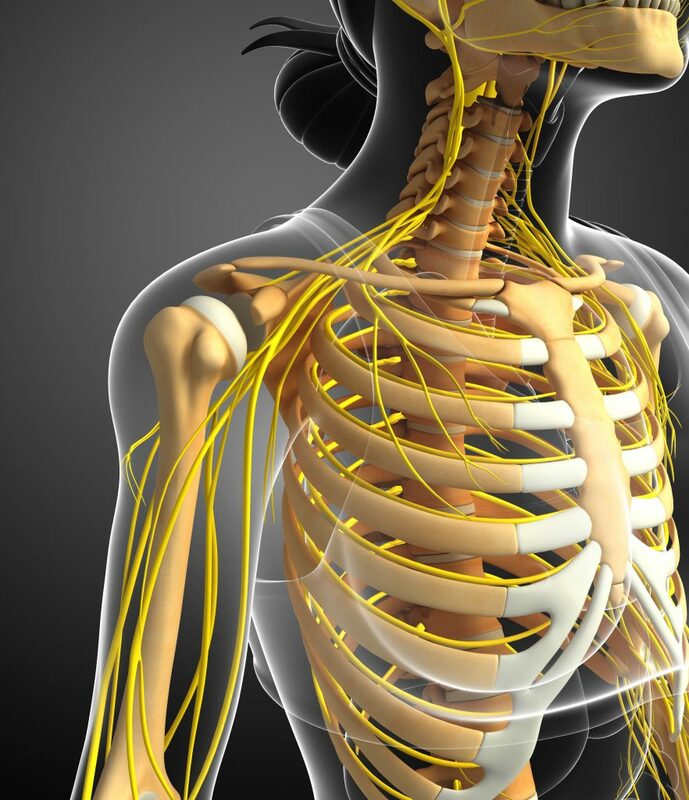 Nerve impulses direct the muscles on exactly when to contract and how strongly. And the rotator cuff needs to understand everything that is going on around it in order to do its job. This requires even more neurological information, so it knows what is happening at the shoulder joint, the larger muscle groups, the trunk musculature, ligaments and joint capsule, and what is happening in the scapula in terms of position and muscle action. And each part of the rotator cuff needs to know exactly what the other parts are up to in order to provide perfect coordination and balanced effort. So simple shoulder elevation is not so simple! It takes incredible coordination of many components simultaneously.